although i dont see why ,can someone give me a price on the stripes on it and the painted fender arches (the black around the wheel arch) and the rotary logo door lock vinyls as i wouldnt have a clue on them? someone please confirm this for me???? 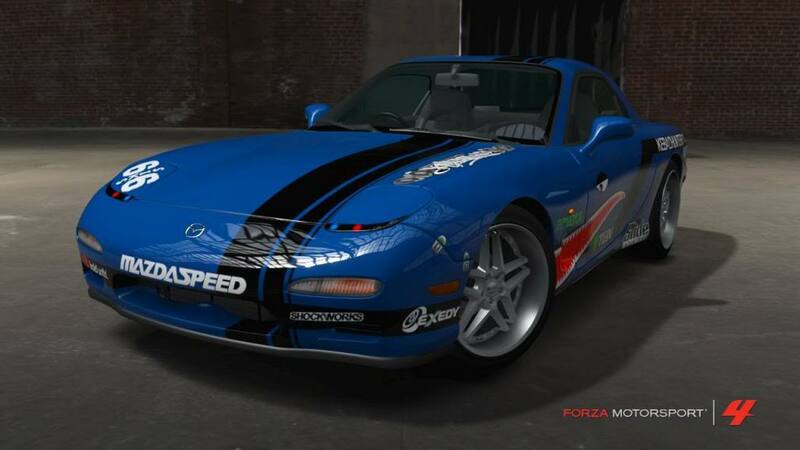 Since there are no real body mods, such as vents and the like, that would be considered a livery in my opinion, and cost $3000. I'd charge yourself that unless told otherwise in this thread. Thanks, but my photo settings are utter crap. Hey Hectic. According to Smooth you are supposed to pay for body work. So this is the simplest way to pay for what you've changed. that cover the stripes and arches to my knowledge. As for the door lock, I would just pay $50 because it is a small detail and can't be super expensive. Hope I helped you. 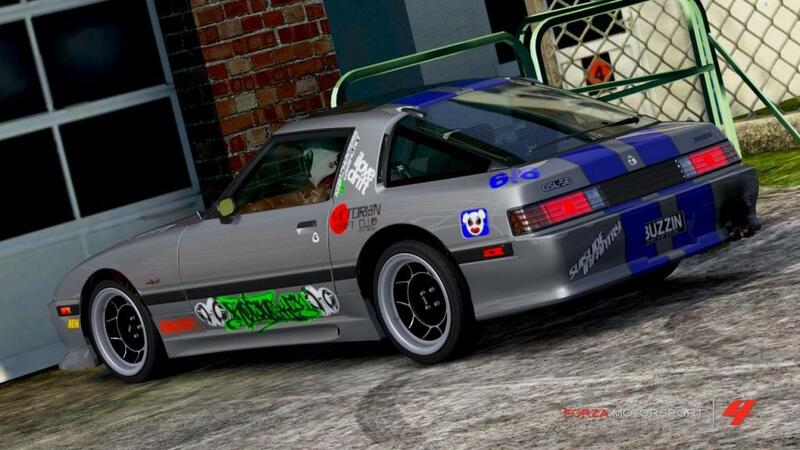 @Hektic, that looks more like stickers added on top of a painted car more than it does a wrap. Count up the stickers and use the chart in the first post to accumulate a total.. I think he means that here is no real scheme to the car.....just random stickers, in random spots......like a person would do in real life. 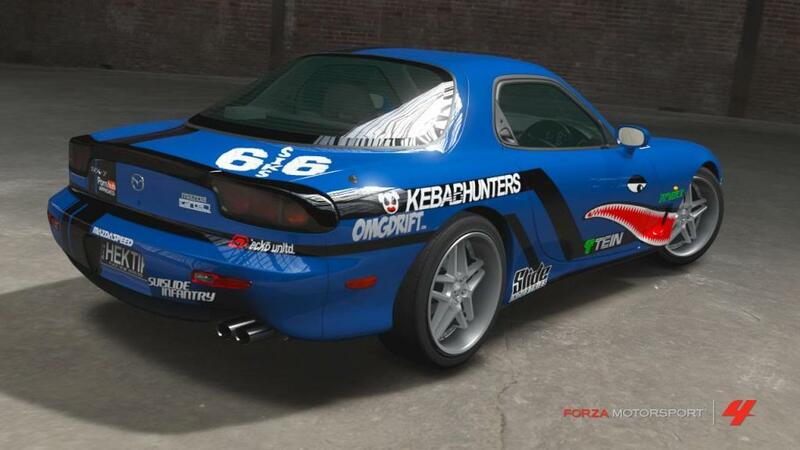 If it had a more uniform drift livery, then it would be considered a complete wrap. So the stickers would be charged individually. Well the arches looked like the color was only color changed not really changed. Like comparison to the FR-S's stock arches compared to a Rocket Bunny kit. I see what you mean and I agree! Resprayed my 240sx black and also painted the wheels black. I was in a lobby with cali and we were talking about all the prices and liveries and stuff. I recently figured out that the prices that I have on all my stuff isn't right because I never came in here and asked to see how much it would cost to make these things. Instead of posting individual pics cuz its too much work, im going to post the link to my shop where I have pics of the stuff that I made and want to produce. I have prices on them but that was before I even realized I had to post in here to get a quote. Help would be greatly appreciated. Sorry I'm barely in my second week. The price stuff is difficult to get used to. 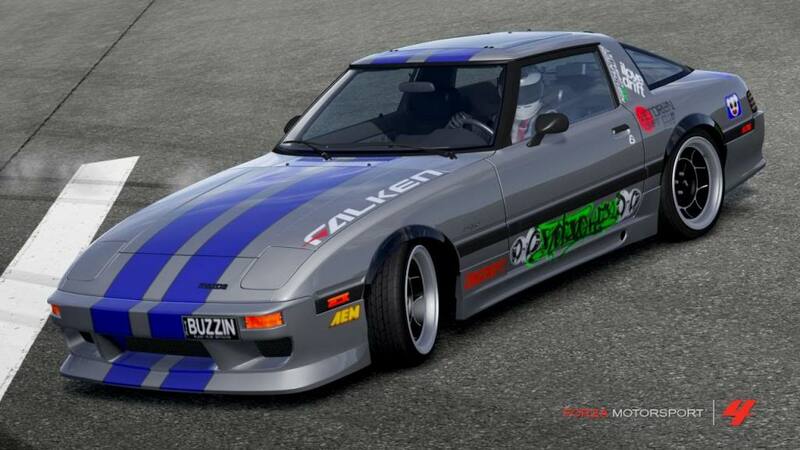 but for now onto the next one i have done my fd rx-7 with a drift livery of my own plus i added lazy eye headlights but no other body mods besides that so im guessing $3,000 for the livery and $200 for the headlights?? can a admin or mod please confirm this? @ Hektic...you are correct sir!!! @ Sep Recon...its a lil confusing on what im looking for...what did you need the prices on? Fenders? do you get 1 free pick of paint when you buy a new car from the dealership or is that rule only for rims?